Quercy is an area of south-west France, which was a former region of France, covering a section from the Massif Central to the Aquitaine plains. It was occupied by the Cardurques in ancient times, and was situated in the old province of Guyenne, with the town of Cahors as its capital. The region was subdivided into two, Haut-Quercy and Bas-Quercy. Cahors was the main town of Haut-Quercy and Montauban was the main town of Bas-Quercy. Now-a-days it is largely made up of the north-west of the Midi-Pyrénées region. It includes the Lot department (Lot Property Guide) and the northern half of the Tarn-et-Garonne department (Tarn-et-Garonne Property Guide). The town of Souillac in the north of the Lot department lies close to the northern "border" of Quercy, while the town of Montauban (Montauban Property Guide) in the centre of the Tarn-et-Garonne department, lies close to Quercy's southern "border". Montauban is the largest town in Quercy area. Meanwhile Montaigu de Quercy (Montaigu de Quercy Property Guide) lies to the west of Quercy, and Figeac to the east. The scenery in this part of France is stunning. In the north of Quercy, plates of limestone plateau called causses have been cut through by rivers, forming dramatic canyons and gorges. Elsewhere there are fertile valleys, enormous plains and undulating hills. Chateaux, vineyards, farms and small hamlets adorn the countryside, while some of Quercy's towns stand out on rocky hilltops. In southern Quercy, there are numerous caves to be explored, containing pre-historic works of art, stalagmites and stalactites. Some of these date back 25,000 years. To the south-west of the Lot valley, is an area called Quercy Blanc. Here, due to limestone movement, large areas of white tertiary limestone have been uncovered, which has given the area its name. 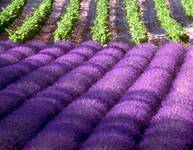 Lavender grows well in this area, as it is particularly suited to the soil conditions, enabling an industry which produces high quality Lavender oil to thrive. The weather in this part of France is an attraction in its own right. The summers are hot and dry, and the winters are mild. Spring and autumn are popular times to visit, as the temperatures at these times of the year are for many "just perfect". The cuisine of the Quercy is well-known, with its duck and geese dishes gracing the plates of many diners. The main city of Quercy is Cahors, which sits on a hilltop surrounded on three sides by the River Lot. Cahors is worth visiting, with its Pont Valentré (a 14th century fortified mediaeval bridge), Gallo-Roman ruins and a cathedral to explore, not to mention its famous red wine to drink. Cahors also provides an excellent base for discovering the rest of Quercy. 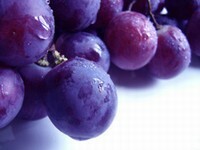 (Cahors Property Guide). You can easily fly to Rodez, Toulouse or Limoges. Rodez is served by Ryanair; Toulouse by British Airways, bmibaby, easyJet, flybe and bmi; and Limoges by Ryanair and flybe. The TGV also goes to Toulouse, so if you prefer fast train travel, then this may be the option for you. Property prices have risen over the last few years in the Quercy area. This is partly due to the increase in the number of budget airlines flying into this part of France, which makes access easier, but it's also due to an increase in foreign investment. However, there is still a wide range of property available, including those sought after stone-built Quercy farms, perfect for renovation projects. And with the rental market being strong, this should ease the financial burden of buying a second home for those who only wish to use it for part of the year.